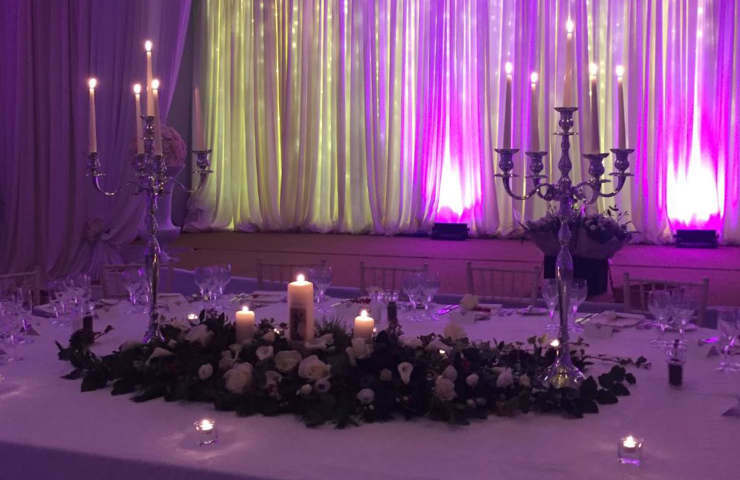 If tall, dramatic centrepieces are what you had always envisioned for your wedding tables, then you will love the combination of flowers and candles used in our candelabras centrepieces over the years. 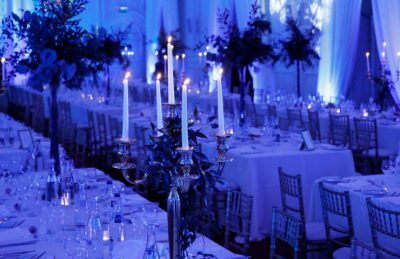 Amaze all of your guests when they enter the corporate, party or wedding event with these timeless, elegant candelabra centrepieces. You can go classical or contemporary by adding toned or vibrant colours of fresh floral centrepieces on top of the candelabras to make them even more beautiful. Fresh ivy is also a trailing feature for a natural effect. 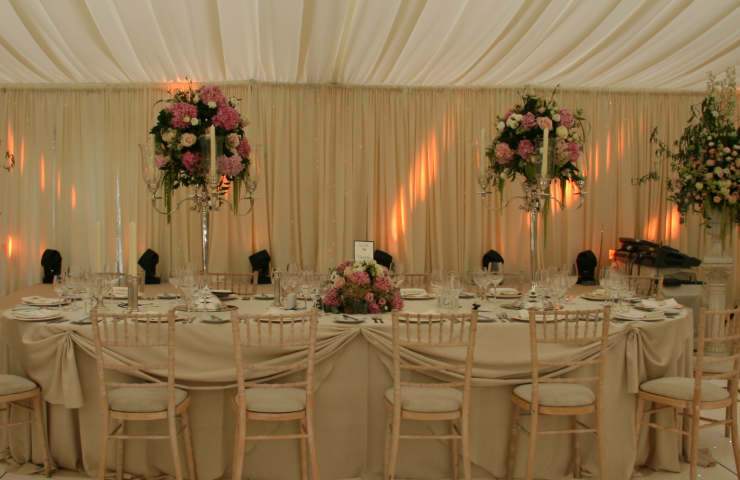 All fresh floral centrepieces can be custom designed with your favourite wedding flowers also if requested. There are so many ways to combine flowers and candelabras from small tea light votives to tall ornate candlesticks and hurricane globes too. If your centrepieces are very important to you, then you want them to be the focal point of your room. 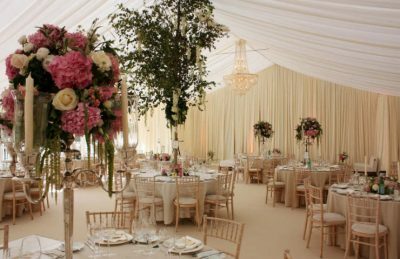 Sometimes just by adding in 3 x large ornate centrepieces, whether large trees or large floral arrangements, will stop the repetitive nature of all the tables. 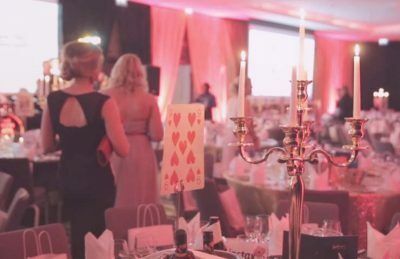 Another option to create the look you wish to achieve, is by decorating half of your tables with the in-house floral centrepieces to reduce your costs. 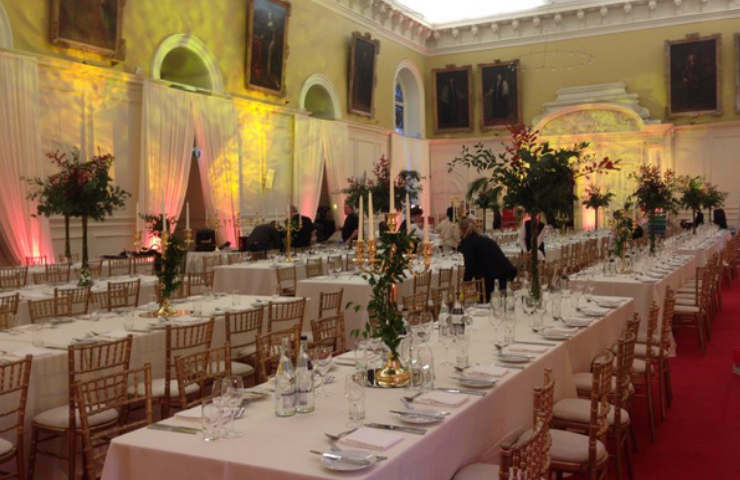 This is usually offered by your venue for your event. 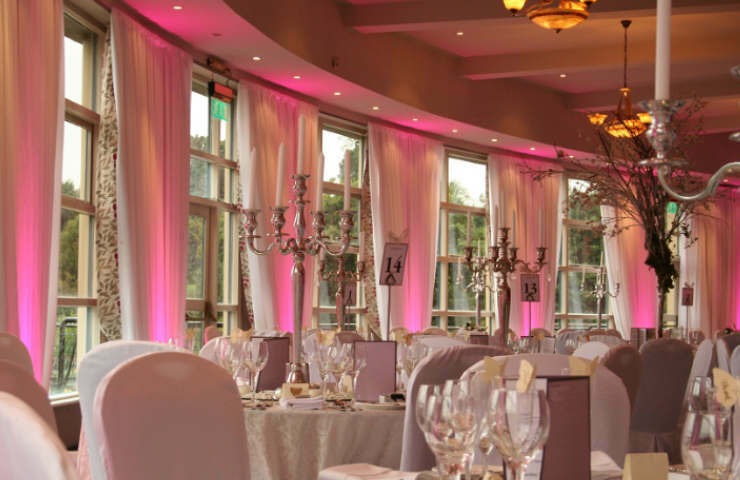 This will allow you to hire in the balance of the room with elegant candelabras. Consequently, you will be achieving the look that you wanted within your budget. 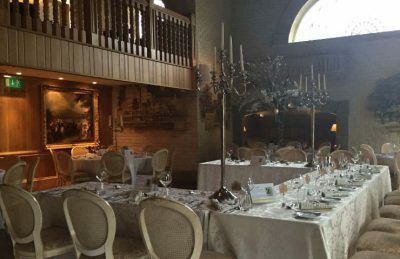 Our beautiful candelabra candle holders are 80cm tall, safe and sturdy, and holds five candlesticks of 10” tall in an arched shape. A wide base of scrolled iron prevents it from toppling over and the wide bases keeps the wax drippings from ruining your event table linen. 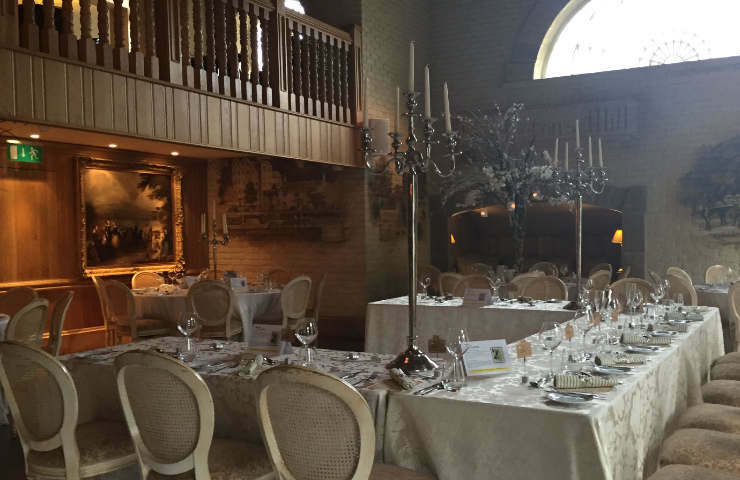 We can also hire our candelabras with a 60cm mirror base to allow you to position tea lights on the table for the extra sparkle touch. 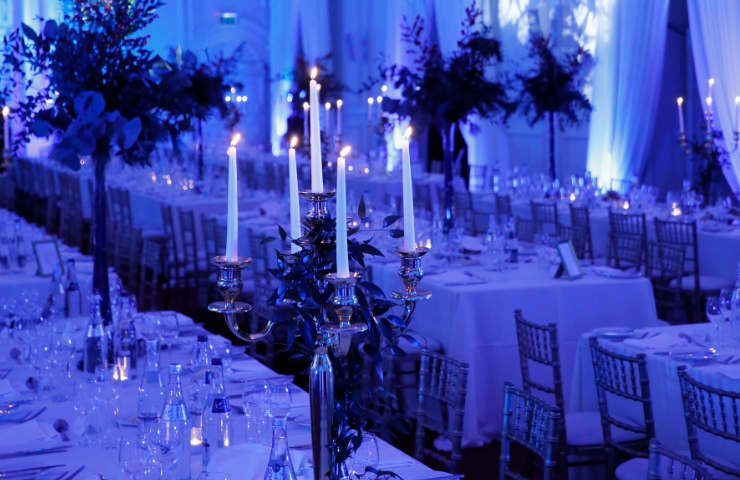 Furthermore, if you like candelabras and you know that they will suit the ambience of your event, they need to be a big focal point to your room. An instant way to set the tone of your event, achieving to wow your guests.